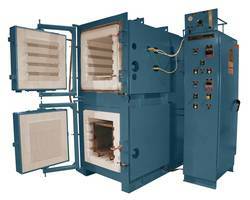 L&L Special Furnace Co, Inc., has supplied an electric box furnace to a Midwestern engine manufacturer that produces parts for large industrial engines, motor and steam generators. The furnace has an effective work zone of 22” wide by 18” high by 22” deep, as well as a complete digital control system, overtemperature protection and counterbalanced vertical door for ease of loading. It is used for larger structures that require thermal treatment along with running batches of multiple parts. 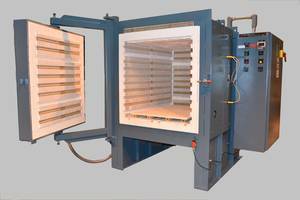 The furnace is used for hardening and annealing of many varieties of components employed in equipment manufacturing. L&L's Model XLE244 has an alloy fan that provides excellent uniformity (±10°F) from 300°F to 1,800°F. 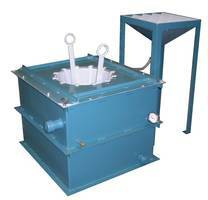 The alloy roller hearth and movable load table allow for larger heavy parts to be easily moved in and out of the furnace manually. It is equipped with an inert blanketing atmosphere control system. This displaces oxygen in the system and helps keep the parts from scaling. 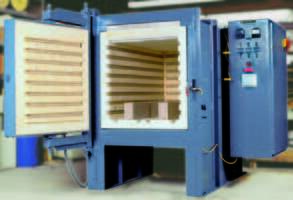 All L&L’s furnaces can be configured with various options and be specifically tailored to meet your thermal needs. 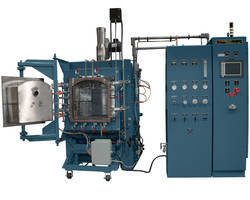 We also offer furnaces equipped with pyrometry packages to meet ASM2750E and soon-to-be-certified MedAccred guidelines. If precise temperature control and uniformity is a key to your process, then L&L’s XLE series is a great choice. Please be sure to visit our new website at www.llfurnace.com.